“The premise is that if a frog is placed in boiling water, it will jump out; but if the frog is placed in cold water that is slowly heated, it will not perceive the danger and will be cooked to death. Harmony Science Centers (AKA Gulen/Cosmos Foundation charter schools) are alive and well in Texas and the “frog in the boiling water” theory could very well be in play. They are even popping up in shopping strip centers like this one in Carrollton, TX. From Donna Garner who does an amazing job connecting the dots for us all. The signs of financial crisis flashed everywhere for Austin Independent School District leaders. A drop in property values hit its revenue stream between 2009 and 2010 and they expected lower state aid in 2012-13. The district has now declared financial exigency and cut $94 million from its budget. The Austin-American Statesman recently chastised Superintendent Meria Carstarphen in an editorial for botching a move to consider early retirement incentives in Austin ISD. She responded that those incentives will be too costly to the district. Yet, Board President Mark Williams admitted the missteps and the incentives should have been brought up in January. Perhaps Austin ISD leaders should give more scrutiny to teachers they let go. Austin ISD’s 2011 “Teacher of the Year” spoke at the recent “Save Our Schools” rally at the State Capitol. She said she and other “excellent teachers” have received notices they could lose their jobs. No one doubts this is a stressful time in Austin ISD. But it’s becoming obvious that on big issues, important details elude the leadership. Consider the “free” trip halfway around the world that Carstarphen and 10 other district curriculum directors and teachers took between December 14 and December 23, 2010. Austin ISD had a responsibility to do their due diligence – even for a “free” trip, but they did not do it. Austin ISD has a new relationship with Raindrop Turkish House (RTH), which will assist district staff in creating a curriculum on Turkey. This should assist teachers in preparing students for certain questions on state assessment tests. It seemed obvious that completing their due diligence was the least taxpayers deserved. However, Austin ISD was enthusiastic about the trip to Turkey. That enthusiasm extended from the superintendent to the board. Carstarphen and Board President Mark Williams did not respond to repeated requests for an interview. At one time 12 administrators and teachers were scheduled for the trip. However, 11 people made the trip before Christmas. The Austin Aztex soccer team gave Austin ISD $14,400 to cover the cost for airfares, meals, parking, visas, and other incidentals for Austin ISD leaders and staff to make the trip to Turkey and back. RTH [Rainbow Turkish House — a Gulen school] paid for the stay and activities in Turkey, with included meetings at schools that had some madrassas, Islamic religious schools. Now, RTH in Houston and Austin will assist Austin ISD in drafting a curriculum design, resources and instruction. The RTH is connected to Fethullah Gulen, a Turkish imam who exiled himself to Saylorsburg, Pa. in 1999 under armed guard. Saylorsburg, Pa. is in Northeastern Pennsylvania near the Pocono Mountains. Gulen exiled himself because he faced charges of trying to overthrow the Turkish government. It is believed Gulen, who is a billionaire with a vast network of organizations and schools, including charter schools throughout the world and in the U.S., wants to restore the Ottoman Empire to Turkey. Gulen has more than 80 charter schools nationwide, and in Texas more than 30 affiliated with the Cosmos Foundation, which also is a Gulen organization. This trip’s clearest connection to Gulen is a photograph taken of a few people from the Texas delegation while they were in Turkey. A picture and article of the Texas visitors appeared during their trip in Today’s Zaman, the English language version of the Gulen newspaper. Today’s Zaman’s U.S. correspondent has acknowledged the publication is Gulenist. Many of Gulen’s organizations, including RTH and the Cosmos Foundation, have noble goals: open dialogue with people of different faiths and its charter schools. However, foreign policy experts who have watched events in Turkey say there are reasons for concern. One person is Michael Rubin, who worked as a Pentagon staff adviser on Iran and Iraq from 2002-04 in the administration of former President George W. Bush. Rubin is a resident scholar at the American Enterprise Institute. Additionally, multiple cables from the U.S. State Department express concerns about Gulen because he is less than transparent about his goals. The State Department is no bastion of conservatism. In an e-mail response, Austin ISD dismissed the need to check out RTH by not even answering a couple of questions. Again, the superintendent did not respond to repeated requests for an interview. The trip to Turkey likely will benefit those who went – and it will benefit the preparation of Austin students for future state tests. However, the trip in December – in light of the financial crisis confronting Austin ISD – displays the epitome of tone deafness. Why would you travel halfway around the world with a financial crisis of this magnitude? Additionally, the lack of due diligence on Gulen reveals that on the big issues the big details get overlooked. Perhaps some important financial questions were overlooked because the district’s leader was out of the country for 10 days just before Christmas. Austin ISD will get their new Turkey curriculum, but at what price? There were enough red flags about Gulen. All they had to do was look and ask some probing questions. Cosmos Foundation is the management company for Harmony Science Academies, and the CFO of Cosmos is Umit Pecen; he attends the funding board meetings with Sonar Tarim. 2. 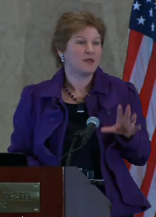 Oct. 7, 2010 — Dr. Helen Rose Ebaugh — “Mapping the Gulen Movement” — Professor of Sociology, University of Houston — Please slide the marker to 11:52 where Dr. Ebaugh says there are 25 Gulen charter schools in Texas (a.k.a., Cosmos Foundation — Harmony Science Academies). 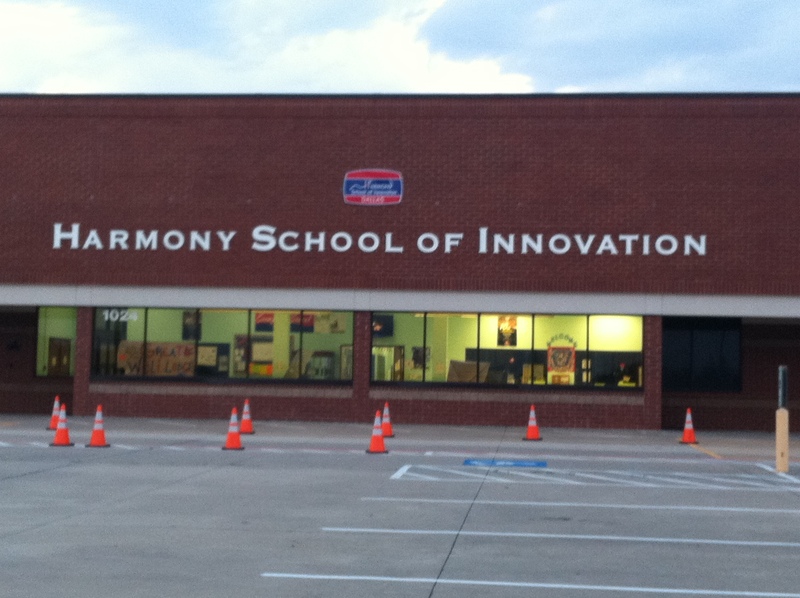 If these are not the Harmony Science Academies, to what other schools is she referring? Obviously she means the Harmony Science Academies and that they are Gulen schools. In Dr. Ebaugh’s remarks, she stated that she had traveled to Turkey to study the Gulen Movement; and she learned that after Gulen investors put up the capital for the Gulen schools for a couple of years, the schools operate on their own. This should be the same model used in the United States. If individual citizens want to put up the money for the Harmony Science Academies to get them started, that would be a matter to be decided in the private sector; but we taxpayers should not have our tax dollars used to pay for any schools that are tied to the Muslim movement. (4) Students in the Gulen schools celebrate various Turkish Muslim holidays, and students frequently win trips to Turkey. The subject of the cable was Fethullah Gulen, an Islamist imam, who is behind the Gulen Movement and the Gulen Charter Schools in America (a.k.a., Harmony Schools in Texas). Ambassador Jeffrey gives what he wants America’s stock answer to be if anyone ever charges the United States with “sheltering” Gulen. Someone named Francis Venturini posted his comment on 3.25.11 at 5:18 A. M. and proceeded to give a link to the original Wikileaks cable sent on 12.4.09 from Embassy Ankara, Turkey, by Ambassador James Jeffrey [U. S. Ambassador to Turkey from 2008 – 2010]. The subject of the cable was Fethullah Gulen, an Islamist imam, who is behind the Gulen Movement and the Gulen Charter Schools in America (a.k.a., Harmony Schools in Texas). Listed in the header to the cable are such words as Confidential, Ambassador James Jeffrey, Embassy Ankara, Secretary of State/Washington D. C., Secretary of Defense, CIA, Joint Staff, etc. At the end of the 2009 cable, Ambassador Jeffrey gives what he wants America’s stock answer to be if anyone ever charges the United States with “sheltering” Gulen. I found it very disturbing that by 2009 when Ambassador Jeffrey wrote this cable, the Gulenists had already taken over the Turkish National Police by giving applicants the answers to the exams. If this is standard protocol in Turkey by the Gulenists, I have to ask whether there is any outside monitoring of test security when the Gulen Charter Schools in the United States administer the state-mandated tests (TAKS in Texas) and the SAT/ACT. If not, can we trust the Gulen Charter Schools’ (a.k.a., Harmony Schools in Texas) test results to be credible? Notice that this cable from Embassy Ankara was written back in 2009. It was after that time in May and June of 2010 when the Gaza Strip flotilla fired on the Israelis; Turkey helped Iran to create a plan to avoid sanctions; and the Turkish prime minister said he regarded Iran’s President Ahmadinejad as a friend. All of this occurred during the time that the Gulen Movement was infiltrating Turkey and becoming more aggressive by taking over the news media, political structure, security police, educational system, and other institutions. It cannot be a coincidence that as the Gulenist Movement in Turkey has grown, the Turkish relationship with the United States has deteriorated. Is it any wonder that many Americans are worried about the Gulen Charter Schools and their Islamic influence upon our own public school children? It is not a stretch to think that the Gulen Movement may be trying to take over our country using the same strategies they have used in Turkey. Combine this with the fact that a Texas legislator recently told me that he, unlike some of his fellow legislators, had refrained from accepting free trips to Turkey offered by Gulen/Cosmos Foundation/Harmony Schools. I have also been told that many high-level policymakers on both sides of the aisle, selected news media pesonalities, and Congressmen have taken these free trips to Turkey — the center of the elegant Ottoman Empire — where they have been wined and dined royally by the Gulenists. Students at the Harmony Schools also are sent on these Turkish trips. If you have pertinent information or have observed anything suspicious about the Gulen schools in Texas (a.k.a., Harmony Science Academies), here is the phone number for the Dallas FBI office (972-559-5000). When you call, ask to be directed to “Intake.” I verified this contact information this morning. We have two key permanent bases in the Middle East. Incirlik, Turkey, and Riyad, Saudi Arabia. These are strategic installations. For reference, Incirlik was the home base for all U-2 flights over Russia before satellites. Riyad was the staging point for both Iraqi Wars. Both bases are essential in the Middle East. Incirlik Air Base (Turkish: İncirlik Hava Üssü) (ICAO: LTAG) is located in İncirlik, five miles east ofAdana, Turkey‘s fifth largest city, and 56 kilometres (35 mi) from the Mediterranean Sea. The U.S. Air Force and the Turkish Air Force are the primary users of the base. Incirlik is the home of the 10th Air Wing (Ana Jet Üs or AJÜ) of the 2nd Air Force Command (Hava Kuvvet Komutanlığı) of the Turkish Air Force (Türk Hava Kuvvetleri). Other wings of this command are located in Merzifon (LTAP), Malatya/Erhaç (LTAT) and Diyarbakır (LTCC). Incirlik has a United States Air Force (U.S.A.F.) complement of about 5,000 airmen, with several hundred British and Turkish Air Force airmen also present (-late 2002). The primary unit stationed here is the 39th Air Base Wing (39 ABW) of the U.S.A.F. Incirlik has one 3048 meter-long main runway  and one 2740 meter-long secondary runway, both located among about 57 hardened aircraft shelters. Gulen teaches that hearts are created as safes for keeping secrets. Intelligence is their lock; will power is their key. No one can break into the safe and steal its valuables if the lock or keys are not faulty. He urges his followers to bear in mind that those who carry others’ secrets to you might bear yours to others. Further, he cautions them not to give such tactless people any chance to learn even the smallest details of your private concerns. A secret is a power only as long as it stays with its owner but is a weapon that may be used against its owner if it passes into the hands of others. Developing his point, Gulen explains, “This is the meaning of one of our traditional sayings: ‘The secret is your slave but you become its slave if you disclose it.’” The details of many important affairs can be protected only if they are kept secret. What Gulenists want is total power and one-man rule; they want a status so that none could dare to object to them or to their leader, because they sincerely believe that Allah has chosen them to disseminate their brand of Turkish Islam to the world, and therefore that everything they do is right and without mistakes. That is why the best weapon for a dictator’s regime is secrecy, but the best weapon for a real democracy is openness and transparency, is it not? How democratic, open, and transparent are the Gulenists? …Why would the Gulenists deny their relation to the CIA? The truth seems to be optional for Gulenists. According to Gulen’s teachings, his followers have an obligation to know the truth but that truth cannot be revealed anywhere anytime, because if the time is not right, they cannot tell the truth. For example, the strategy of denial is fabricated to appear that they are not part of any movement or community if any charge against them appears in the news…Rather, they are to work patiently and silently until all the institutions are in order to seize power. Timing about when and how to reveal their true goal is very crucial for the Gulenists. Gulenists are experts on how to buy and use persons for their interest. next post: Breaking News! State Budget Alert! Excellent Ms. Linahan, you are educating parents and hopefully Texas lawmakers about the dangers of the worldwide Gulen Movement. This is the first step in closing these Educational Jihadists down. Another source of research for your readers should be Dr. Aland Mizell the author of “Tactics of Islam, conquering America from within” tracking the Gulen Movement. This book is a must read and should be given to every member of Congress. Other credible sources are: Dr.Joshua Hendricks a former paid speaker for the Gulen Movement that is pleading with them to “come clean” about the schools affilation with the Gulen Movement. This is a dangerous group that hides behind other front groups layered around the schools. They use “peace, dialog and interfaith” as a means to rope in local politicians, media, academia and religious groups…with FREE trips to Turkey and BS awards and honors. Many people cannot see past this group which is really the Turkish Lobbying, our educational tax money filtered to promote Turkey a country that is struggling with secularism and which 60 journalists have been jailed because they DARE write a story about Imam’s Ordusu (The Imam’s Army) such peace, understanding and dialog………the gulen way. Good Luck Texas, you will need it now that the Gulen Movement has infiltrated your politics and is NOW opening the Harmony School of Political Science to re engineer politics in this country. 1. mythical beliefs -- all religions have these (faith) because its part of being a religion: having beliefs without proof until after the believer dies. the problem is people will believe almost anything. 2. totalitarianism -- islam has no seperation of church and state: sharia law governs all. there is no free will in islam: only submission to the will of allah as conveniently determined by the imams who spew vapors to feather their own nests. there are no moderate muslims: they all support sharia law. 3. violence -- islam leads the pack of all religions in violent tenets for their ideology & history: having eternal canonical imperatives for supremacy at all costs and calling for violence & intimidation as basic tools to achieve these goals. 4. dishonesty -- only islam has dishonesty as a fundamental tenet: this stems from allah speaking to mohamhead & abrogation in the koran which is used to explain how mo’s peaceful early life was superseded by his warlord role later. 5. misogyny -- present day islam is still rooted in 8th century social ethics: treating females as property of men good only for children, severely limiting their activities, dressing them in shower curtains and worse.